Wallpapering Fog: Do you want to see adverts? It will soon be optional, and not just on the web. Do you want to see adverts? It will soon be optional, and not just on the web. I've written before about Adblock, a little plugin for your web browser that exorcises advertising from the internet. I've also wondered aloud why many more people don't use it. I think Adblock amazing. I run it on my home PC, my work PC and my tablet. No internet ads, ever. Sometimes, when Google search ads might be useful - if I need a plumber, say - I'll turn Adblock off for a while, but it's never off for very long. Is that in conflict with my job, working in an advertising agency? I don't believe so, no. If adverts are annoying, then people will avoid them. It's our responsibility as a marketing agency to work out how to get your company's message through the clutter and around the avoidance, to people just like me. Pretending the wider world doesn't avoid ads and trying to set some kind of example, would be much worse than skipping them ourselves. Most people don't choose to block adverts on the internet, even after they know that it's possible and very, very easy to set up. Why not? It's got to be either that most people don't really dislike ads that much and so can't be bothered to avoid them (maybe even actively like them! ), or that the little step of setting up the blocker is too much hassle. I don't know that ad blocking will never come to be the majority approach, but it makes some sense; if everybody thought ad blocking was that great, then they'd all be doing it by now. Advertising revenue pays for a lot of content, so we've got a group of people - including me - free riding on other people's ad viewing. I get to read newspaper sites just like you do, but my copies have no ads. If you see ads on the internet, then you're paying for my content via your ad views and clicks. I do appreciate it, really. TV advertising has so far been relatively untouched by advert avoidance. It's very possible to avoid ads on TV using a box like Tivo, but you have to record programmes and watch them behind the 'Live' feed, so that you can fast forward through breaks. A few people do that, but most don't. Two recent developments may be about to change all this though. 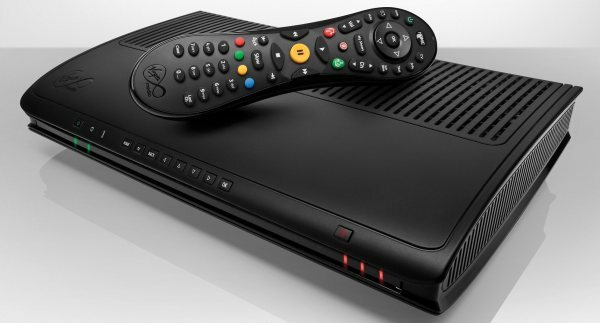 First, the Dish Hopper is having a legal ding-dong with TV companies in the US, over a Tivo-style box which will recognise ad breaks and skip over them automatically. You still have to be watching a recording of the programme, but you don't need to fast forward - the box finds the ad breaks, misses them out when playing back recordings and for the viewer, ads just vanish. If you're watching TV live, you can't fast forward into the future to get past an ad break, but why do you have to watch the ads? You could watch something else. You could watch YouTube. What if your TV recognised the start of an ad break and just swapped in YouTube videos that you might like for a few minutes, then dropped you back to live TV as the ad break ends? Yeah, fine, YouTube's got ads in it too. But Vimeo hasn't. What about a gallery of inspiring Flickr images for three minutes, accompanied by a Spotify track from one of your playlists? It's a damn good idea. Some bright sparks have already had that idea. They've built it. Yes it looks a bit amateur, but first versions of tech usually do and if this one doesn't work properly, then there'll be another one along soon that will. Crucially, we're not talking about a whole DVR here, it's just a little piece of wifi kit that sits between your digital receiver and your TV, detects when ads are running and swaps the feed to the TV for something else until they stop. It will be very, very difficult to prevent people from using one of these. At the extreme you could make them illegal, but how would you know I've got one? If you're a commercial TV company, this should be absolutely terrifying. Now that TVs are effectively computers and new components based on equipment like the Raspberry Pi are so cheap, we can customise them. That means people who are determined to avoid ads are going to be able to do it, just like they can on the web. Just like on the internet, it won't be everybody, but I'm willing to bet that in the not too distant future, a significant number of high value, technically minded people will choose to remove themselves completely from interruption-based TV advertising audiences. Advertising as a whole will continue onwards, of course it will, it always does, but we're heading for some big changes. The last bastion of unavoidable, interruption based, highly impactful advertising, may be about to fall.